James W. "Jim" Smith, Jr.
James Walter (Jim) Smith, Jr.- Born February 19. 1923, passed away January 13, 2018. He is preceded in death by parents, James Walter Smith and Ruth Greer Smith; brothers, Conrad C. Smith, of Nashville, TN. And William C. Smith, of Memphis, TN. Survived by sister, Mary Ruth Smith, of Nashville, TN; niece, Vicki McCullough (Jim), of Memphis, TN; nephew, William C. Smith (Molly), of Houston, TN; two great nieces and two great nephews. Jim graduated from Cohn High School in 1941 and attended North Carolina State College in 1943. 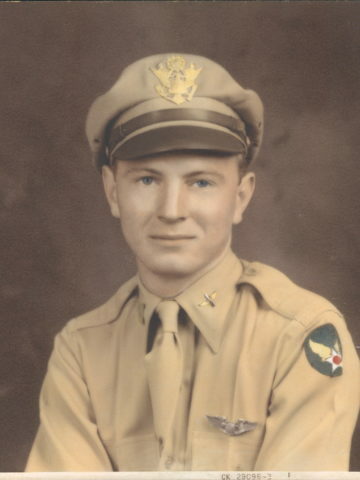 He entered the Army Air Corps in December 1942, during World War II and served on active duty until June 1947. He was a fighter pilot and was qualified NWEARNEY aircraft including all four army fighter aircraft. His last assignment was with the 57TH Fighter Group, 66th Fighter Group Squadron on Shemya Island in the Aleutian Islands Territory of Alaska. He also served with the 65th Fighter Squadron detached to Mile 26, Fairbanks, Alaska. After leaving the service he was a self employed Manufacturers Representative for 36 years traveling in the southeastern United States. His remains are at West Harpeth Funeral Home where services will be conducted on January 17, 2018, at 11:00am by Brother Dennis Barnes. Visitation will begin at 10:00am. Interment will follow at Woodlawn Memorial Park. One Comment to Mr. James W. "Jim" Smith, Jr.
Mary Ruth, we are so sorry to learn of James’ death. Our intentions were to come to his funeral, but the weather has prevented us following through with our plans. We are remembering you in our thoughts and prayers. Perhaps we can visit later.